The chronic autoimmune disease lupus is very mysterious. It can impact anyone at any time (though it is most common in women of childbearing age). Its cause is unknown. And while lupus symptoms can vary in where they occur in the body and how severe they are, they can come and go without warning. 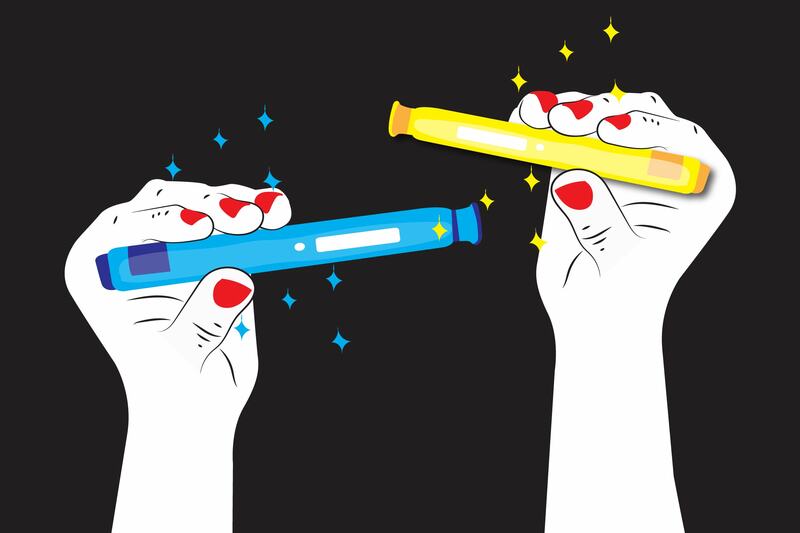 If you’re one of the 5 million people worldwide living with lupus, you’ve probably worked with your doctor to determine what medications and lifestyle changes can help keep symptoms at bay for as long as possible and send flares into remission. Your diet for lupus, while not a cure, can contribute to these goals. How Does Diet Impact Lupus? Lupus is an autoimmune disease, which means that the body’s immune system attacks healthy tissues by mistake. This response can cause inflammation to occur throughout the body, including the blood vessels, heart, skin, kidneys, joints, lungs, and brain. The lupus symptoms that result can include pain in joints, red rashes, sensitivity to the sun, swollen glands, and more. 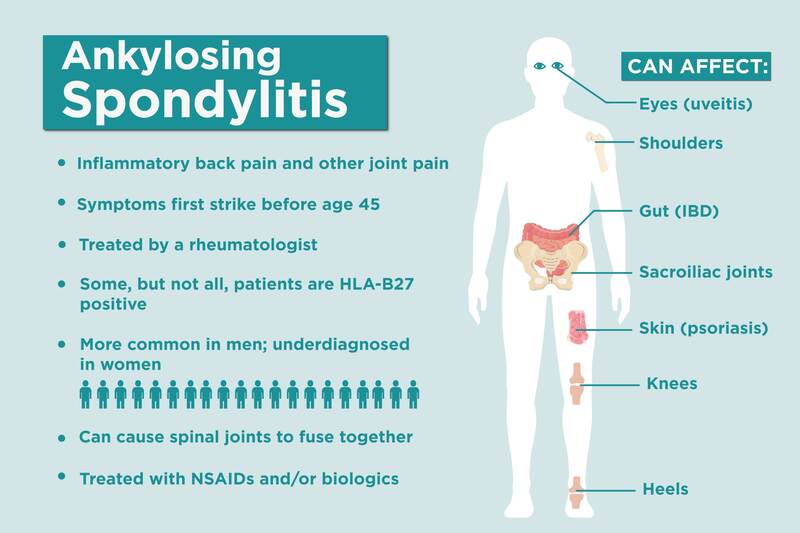 While lupus can affect different people in different ways, the inflammation that causes these symptoms is chronic. Long-term inflammation is also where your diet can help make a difference. “We can try to mitigate inflammation with diet,” says Sotiria Everett, EdD, RD, CDN, CSSD, a clinical assistant professor at Stony Brook Medicine. Is There Really a ‘Lupus Diet’? Not exactly. If you have lupus, experts believe an anti-inflammatory diet pattern may help cut back on flares. “Any way you can increase the intake of fruit, vegetables, whole grains, omega-3s, and healthful fats, and reduce your intake of pro-inflammatory foods such as those high in saturated fat, high-fat meats, processed foods, and excess sugar is a favorable approach,” says Everett. 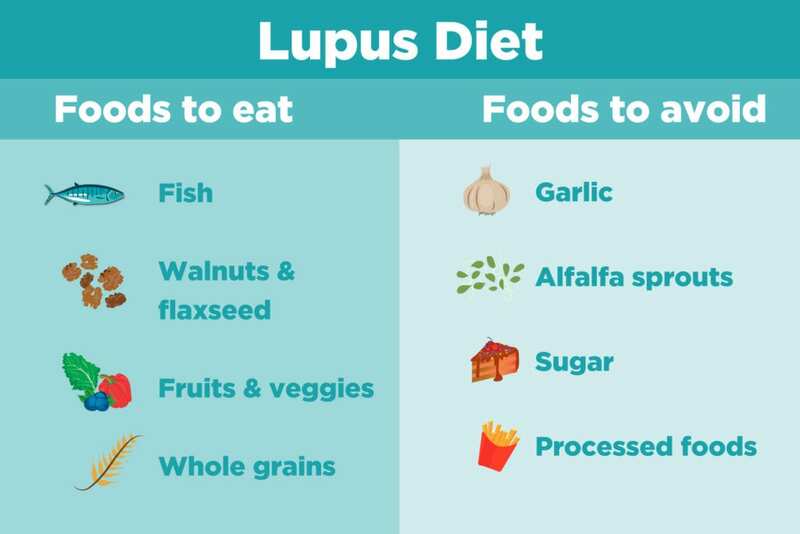 During a lupus flare, anti-inflammatory foods are still important. However, your nutrient needs may be greater. It’s important during those times to make sure you’re adequately nourished with plenty of calories and lean protein, says Everett. Talk with your doctor or dietitian about what that might look like for you. Eating foods like fish, nuts, seeds, tofu, tempeh, and eggs may be helpful. You may also have some new food challenges because of the medication your doctor has prescribed. A corticosteroid, for instance, can cause weight gain and high blood sugar. Talk to your doctor and dietitian about the possible side effects of any medication you’re taking, and how adjusting your diet might help. There are some foods that may induce flares in people with lupus, but good research on this is lacking. Many recommendations are based on small studies or anecdotal reports. Don’t make major diet changes without discussing them first with your doctor. Alfala sprouts: Some research in animals links alfalfa sprouts with lupus flares, thanks to a compound called L-canavanine that can stimulate the immune system. As a result, many doctors recommend that people with lupus stay away from alfalfa sprouts on salad bars, sandwiches, and wherever else they might be found. Garlic: Garlic is another food that some experts suggest staying away from if you have lupus. The flavorful herb contains compounds that rev up the immune system and may cause an unwanted response in people with lupus who already have an overactive immune system. Nightshade vegetables: Since lupus is a very individual disease, you may also find certain foods can trigger your symptoms while other people with lupus can eat them without an issue. Some report that nightshade vegetables like eggplant, potatoes, and tomatoes can be detrimental, however there is no research to suggest avoiding them unless you find they impact you personally. An elimination diet can help you uncover the foods that may be your individual lupus triggers; work with a dietitian to carry one out safely. Fish: The omega-3 fatty acids EPA and DHA that are found in fatty fish like salmon and mackerel can inhibit inflammation in several different ways. Unfortunately, the typical U.S. diet is woefully lacking in omega-3s. Eating fatty fish at least twice a week can help you get the plenty of the anti-inflammatory fats through your diet. Walnuts, flaxseeds, canola oil: These foods provide the vegetarian form of omega-3 fatty acid, known as ALA. While your body converts ALA to EPA and DHA at a relatively slow rate, you may still get some benefit from these foods, particularly if you don’t eat fish. If you don’t eat fish at all due to an allergy or being vegetarian, you may also want to consider an algae-based omega-3 supplement, says Everett. Fruits and vegetables: Colorful produce like spinach, collard greens, blueberries, and oranges contain antioxidants and polyphenols, natural plant compounds that may help counter inflammation. Aim for at least five servings each day, and try to get a range of colors in your diet. Whole grains: Grains are made of three parts: the bran, germ, and endosperm. Unfortunately many of the carbohydrate foods we eat are made from grains that have been stripped of the nutritious bran and germ. Research links a high intake of refined grain foods with higher levels of inflammatory markers in the body. Instead, focus on foods like brown rice, quinoa, and whole grain bread that are good sources of fiber and antioxidants.